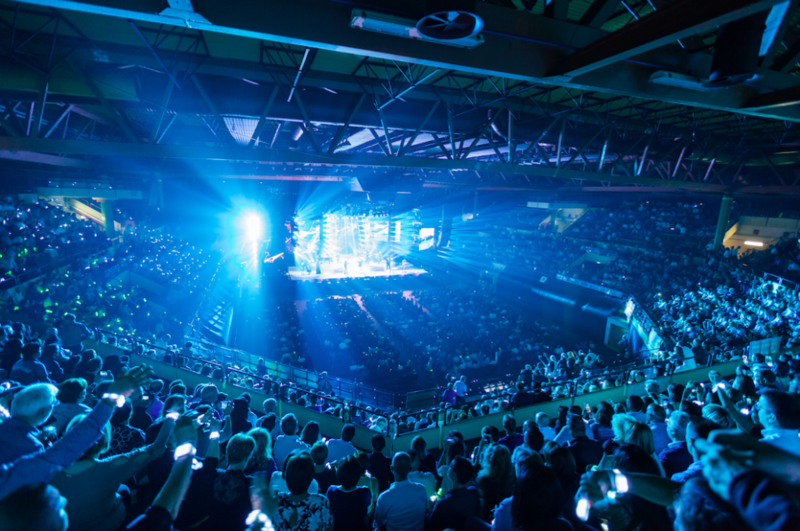 A spectacular event, with a special mix of history and entertainment: the Conserve Italia 40th years anniversary convention was a great success, with an audience of 4.000 people. The journey in the company’s history begun as soon as guests entered in the welcome area, with a natural-style scenography, a product display area and several ledwall where some of the best historic commercial of the brands were broadcasted. 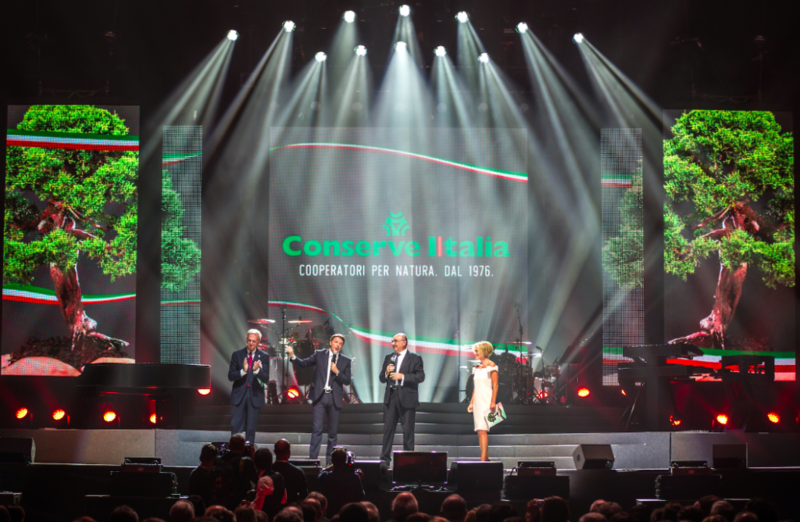 The protagonists of the night were the brands that makes Conserve Italia one of the major worldwide company in the fruit and vegetable industry: Cirio, Yoga, Valfrutta, Derby Blue, Jolly Colombani and Juver. 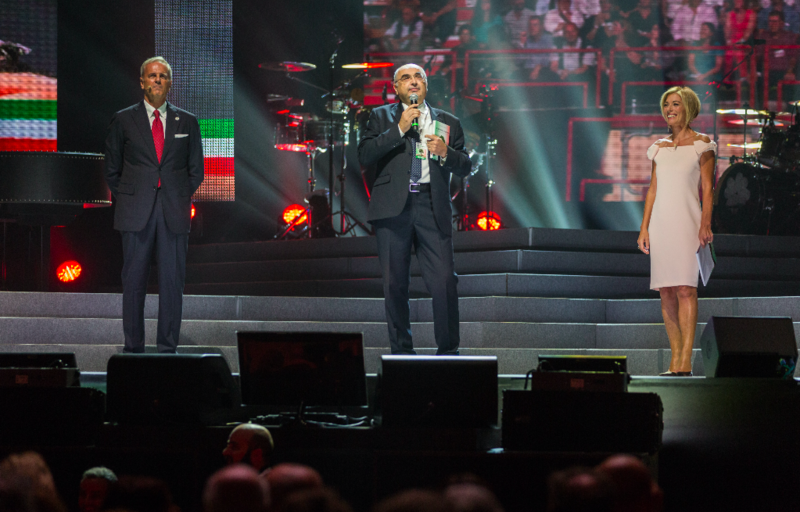 After one hour of food and PR, the show started at 9 pm with Federico Poggipollini, Luciano Ligabue’s guitar hero, that performed the Italian national anthem in a pure rock and roll style. 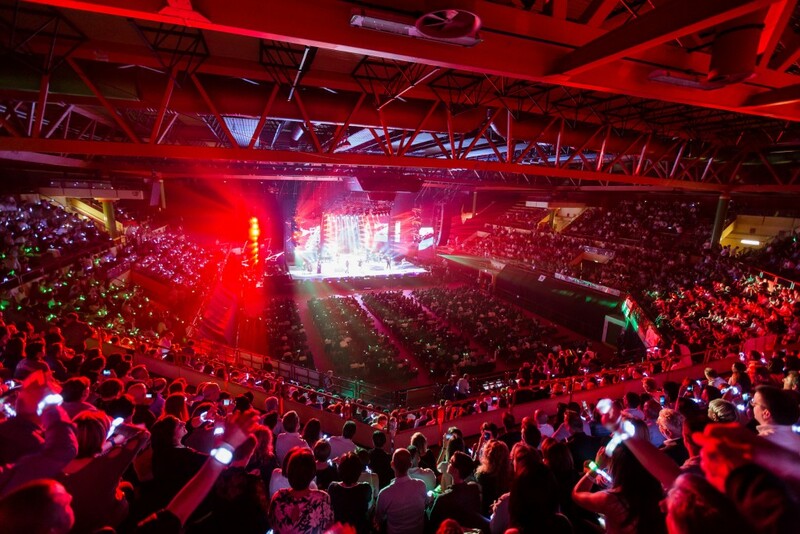 The audience’s wristbands – yes, just like in the Coldplay concerts – begun to light up in red, white and green colors, as much as the entire venue became an amazing sparkling Italian flag. Then Enrico Bertolino e the RAI Journalist Maria Concetta Mattei got on the huge stage, and started to tell the story of the company, from 1946 on, with 10 big ledwall dedicated to the video contents. Other than the classic institutional speech, during the night many special guest step up on stage: the World SKI Championship Alberto Tomba (a former Yoga champion), the Italian Bike CT Davide Cassani and the young actor Matteo Valentini, who performed a very young Francesco Cirio in one of the most emotional momento of the whole evening. But the big surprises were yet to come: at 11 pm, indeed, the President Maurizio Gardini called on stage the Prime Minister Matteo Renzi, who addressed the audience talking about the strong power of Italy. After that musicians started to play, and a big international artist step up on stage beginning her performance.